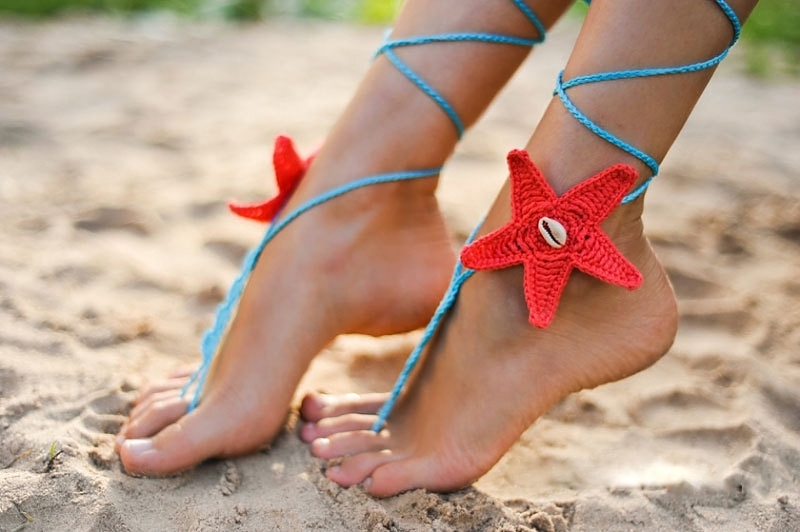 These wonderful Barefoot sandals made in a Starfish shape with real seashell touch. 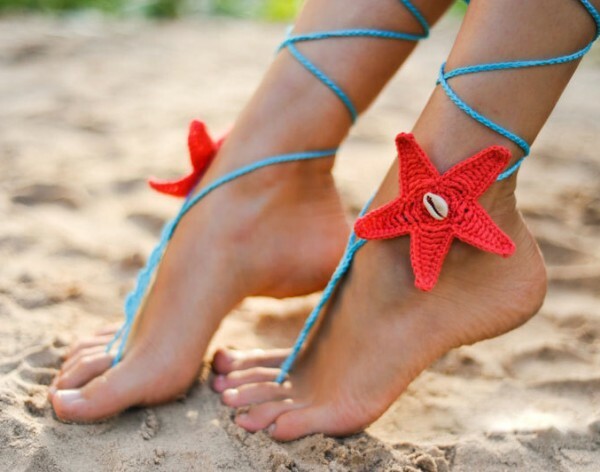 They can be worn barefoot or with shoes. Just perfect for your beach wedding! I can make them in various colors to match your wedding colors. You may want them for your bridesmaids, for your reception, or to wear en route to your honeymoon.